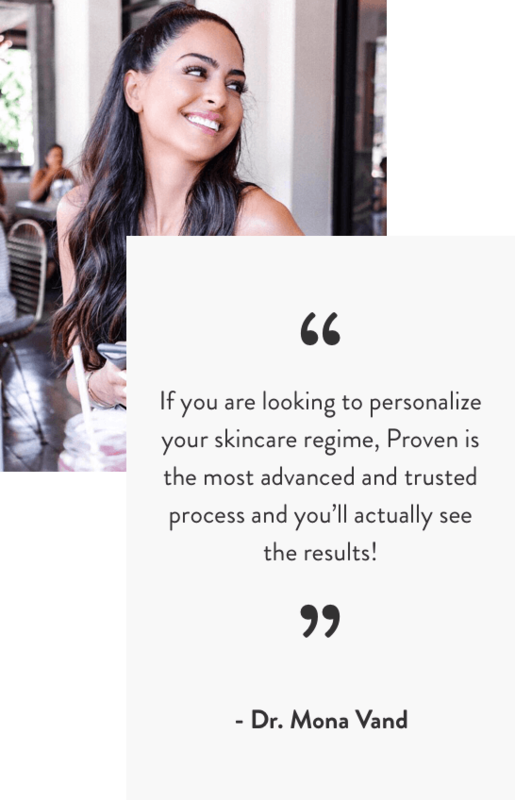 "If you are looking to personalize your skincare regime, Proven is the most advanced and trusted process and you’ll actually see the results!" Guaranteed better skin in 30 days or your money back. Results can be seen in as little as 7 days, yes really! A massive data engine guarantees you’ll receive the right ingredients for your skin, and your skin alone, at the exact time you need them. 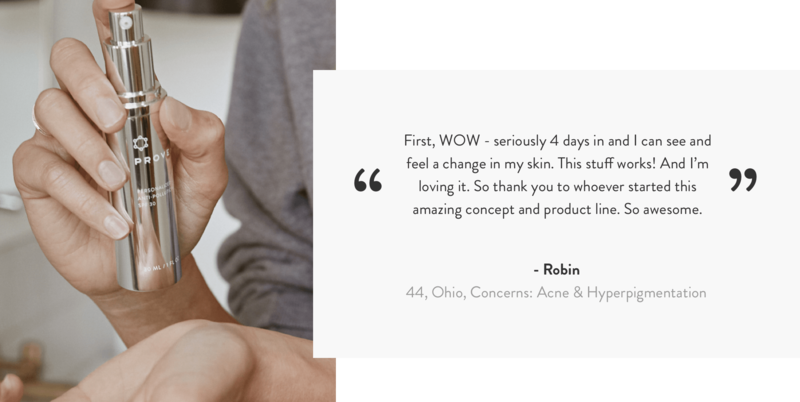 Proven’s lead Esthetician Joshua, aka Proven’s Skin Guru, adds a human touch to all the science and ensures you know how to get the best results from your products. 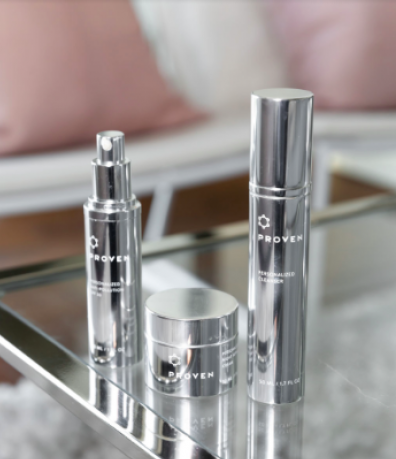 Proven delivers customized skincare that’s made for your unique skin type. 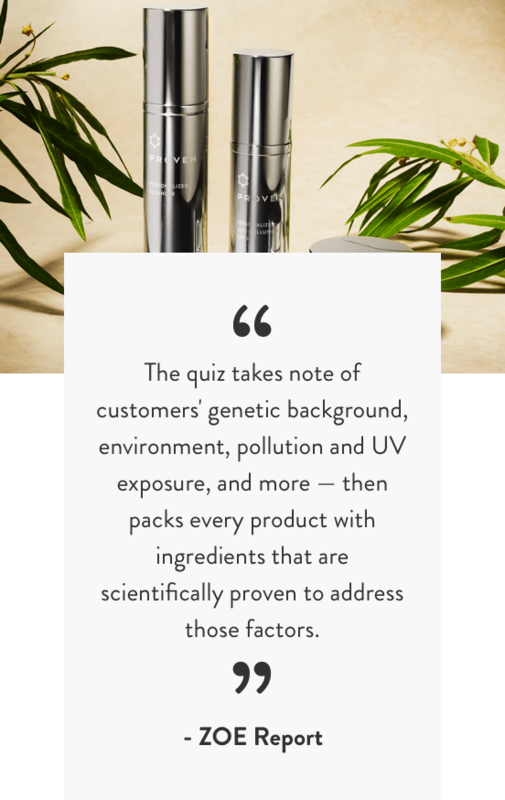 Their Skin Genome Project matches over 20,000 ingredients to your skin profile based on a detailed skin assessment around your genes, lifestyle, environment and more. 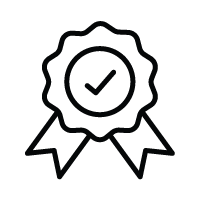 The award winning Artificial Intelligence Platform then calculates your perfect formulas and you're on the way to real results. 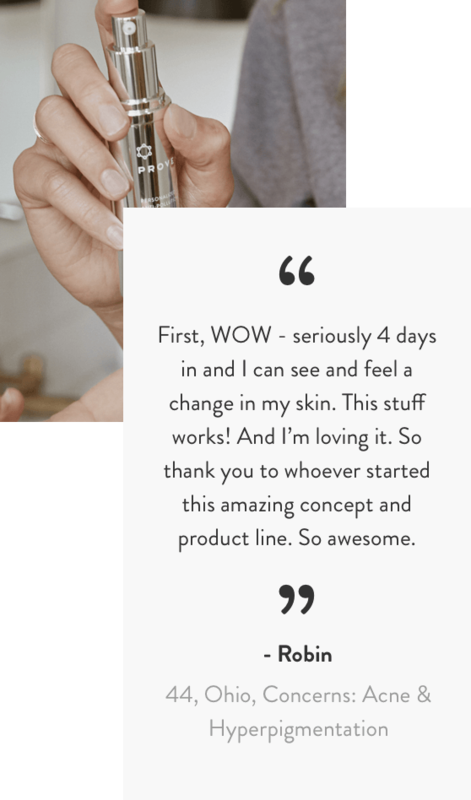 It’s like having your own personal skin care consultant in your pocket! We’re all so different and there’s no one size fits all solution for our skin. What will work for you, may not work for me. It’s as simple as that. Yet many brands throw generic products our way and expect them to work. But they rarely do. That’s why Proven is different. 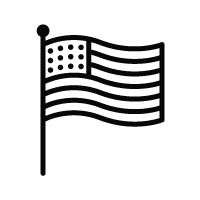 Their data-led process ensures you’ll receive the best results, that are meant just for you. Ingredients need to work as a team to deliver results. Two ingredients can either work together to have a stronger effect (synergistic) or inhibit/weaken the other effect (antagonistic). And oftentimes, too many ingredients overlap and don’t work as well as they should. 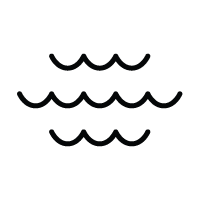 That is why Proven wants you to say goodbye to a shelf full of half-opened bottles, and say hello to three simple products. A daily cleanser, a daytime SPF protectant and a rich, luxurious night cream. All loaded with natural, high quality ingredients, chosen just for you. 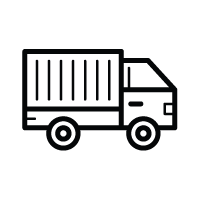 Proven picks from over 20,000 ingredients but only a handful of the most synergistic, impactful will make their way into your specific formulation; ensuring you’ll see the results you desire.